• Sad news about Johan Santana, who's probably my favorite Twin of all time and was such a huge part of this blog, beginning with the "Free Johan!" days and extending to his time as the best pitcher in baseball. AG.com began in 2002, from 2002-2010 a total of 121 pitchers started at least 125 games, and Santana was the only one with an ERA below 3.00. And I'll never stop being upset that he was robbed of three straight Cy Young awards by win-obsessed voters. • Congrats to everyone involved for what is probably the best moment in journalism history. And the follow-up might be even better if you pay close attention to the photo credit. • Crazy, sad story about catfishing, blackmail, suicide, and a Minnesota native. • Turning an old ballpark into an apartment complex is absolutely brilliant. I want to live there. • Headline of the week/weak: "Police called over man singing 'Free Falling.'" • If you were house-sitting a mansion and found $100,000 worth of 100-year-old whiskey, what else could you possibly do? • As a big "Parenthood" fan I already liked Dax Shepard, but his excellent, emotional story about saying goodbye to his father makes me a fan for life. 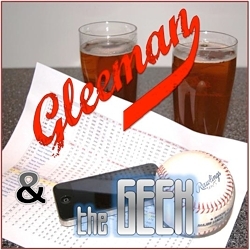 • On this week's "Gleeman and The Geek" episode we talked Aaron Hicks and Drew Butera, recapped Saturday's big Twins Daily meet-up, and discussed why getting to second base without passing out can be difficult. After watching that I'm more convinced than ever that we need to do a "drinking game" episode of "Gleeman and The Geek." You know, as opposed to the usual "just drinking" episodes. • Baltimore reassigned 36-year-old Lew Ford to the minors, where he could be Triple-A teammates with Danny Valencia. • First-year manager Mike Redmond picked Kevin Slowey for a spot in the Marlins' starting rotation. Redmond caught Slowey for 11 games as Twins teammates. 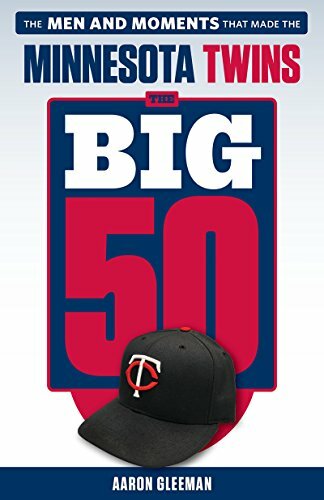 • What does the Twins' season-opening roster look like? I'm glad you asked. • I made my triumphant return to Paul Allen's show on KFAN and after 20 minutes of Twins talk he called me out for not following him on Twitter as I warned: "I don't like where this is going." • Rob Dibble was fired as a high school baseball coach after 10 games. • Addiction-wise I'm exactly like Buzz Bissinger, except for eating Chinese food and queuing movies I'll never watch on Netflix. • Shouldn't the goal be to spend as little time as possible in public bathrooms? • As someone who writes about baseball for a living I'm not qualified for much else, but "full-time barbeque editor" seems like a job I could thrive at. • If what Tilda Swinton did qualifies as performance art then I'm ... actually, I don't know of any famous performance artists. • Important question from my childhood: Why did Uncle Jesse and Aunt Becky never hook up? Most underrated part of that whole thing? Officer Dozerman is a stat-head. • Norm MacDonald launched a new video podcast and his first guest was Bob Einstein, who you may also know as Super Dave Osborne and/or Marty Funkhouser. It was great. • "Aaron Gleeman loves him more than Mila Kunis and Julie Klausner combined" is big talk. • Close enough, I guess. • My super-cheery Twins season preview on NBCSports.com. • I defy you to find a better picture of DMX. • George Clooney, late bloomer. • As someone who legitimately likes Pizza Hut's chicken wings I don't have much room to talk, but Mike Trout has terrible taste in chicken wings. • If you love listening to Al Green's music as much as I do you'll also enjoy listening to Oliver Wang talk about his music and the greatness of "I'm Still In Love With You." • Congrats to friend of AG.com Ray Henson for winning a World Series of Poker circuit event. • Ron Swanson fans should listen to this, if only to hear how great/goofy Nick Offerman's real-life laugh is. • Netflix instant recommendation: "Bachelorette" is pretty mediocre overall, but there was plenty of fuel for my longtime Lizzy Caplan crush. - "My nose cartilage grow is it normal?" - "How much does Boof Bonser make?" - "Does Kate Mara wear braces?" - "Is Darren Wolfson married?"